According to the Columbus Ohio MLS, there were 6 homes sold in Albany Crossing Westerville Oh within the last 6 months ( June 15, 2011 to December 14, 2011 ). The highest selling home during that time frame was located at 5900 Fultonham Dr. Westerville Oh 43081. 5900 Fultonham Dr. sold for $242,213 and closed on October 27, 2011. This home sold in 209 days. The home pictured to the right is a home located in Albany Crossing Westerville Oh, Franklin County. The average selling price per square foot for Albany Crossing Westerville Oh Home Sales during that time frame was $80.33. Those homes sold within 174 days on average. If you know of anyone thinking of buying or selling a home in Westerville Oh 43081, please have them contact Sam Cooper with HER Realtors. 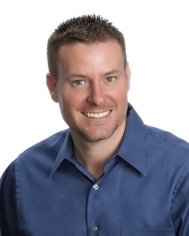 Sam Cooper is one of the top selling real estate agents in Central Ohio. Email Sam: sam.cooper@realliving.com or call (614) 561-3201. Find homes for sale in Albany Crossing Westerville Oh. Visit our Albany Crossing Westerville Ohio website.